The U.S. retail industry in general, and the Arizona retail economy specifically has been impacted significantly by the 2015 store closings, bankruptcies, and going out of business sales being conducted by many of the largest U.S. retail chains. The shift away from brick-and-mortar shopping, intense retail competition in a fluctuating economy, and fast-moving shifts resulting from consumer empowerment have created a perfect storm that some U.S. retail and restaurant chains haven't been able to successfully navigate. Most recently, when Anna's Linens retail chain made the decision to close all 200 of its brick-and-mortar retail stores, more than a dozen of those stores were located in cities throughout Arizona. National store closings by RadioShack, Cache', Wet Seal, Macy's, and Staples all resulted in going out of business sales in Arizona retail in 2015. Arizona-based retail chain PetSmart also announced the layoff of 15% of its Phoenix headquarters staff in June, 2015. The good news is that PetSmart has not indicated that any significant store closings would be happening as part of its cost-cutting efforts in 2015. The other good news for the Arizona retail economy is that both Scottsdale-based chains Discount Tire and P.F. Chang's got new CEOs in 2015, but neither of the new leaders seem to have any plans to close stores in 2015. In fact P.F. Chang's is in expansion mode, particularly with its fast casual Pei Wei restaurant brand. What follows is a list of retail store closing locations happening in 2015 in the state of Arizona. The retail store locations listed are either AZ stores that have already closed, AZ stores with going out of business sales in progress, or AZ stores that have been slated to close before the end of the 2015 calendar year. BOOKMARK THIS PAGE to return for updates all throughout the 2015 calendar year. 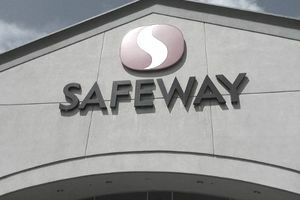 The latest additions to this Arizona Store Closings roundup list are indicated by bold lettering. This store closing, and going out of business sale list was last updated on November 3, 2015. Click the links for more information about individual retail companies. 107th Ave. & Thomas Rd. 7056 E . Golf Links Rd.